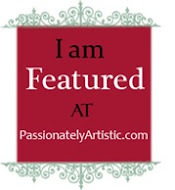 Paper Expressions by Jennipher: Sweet Blog Award!!! To accept the award I have to link back to the person who gave it to me, list 7 random things about myself and pass it on to at least 8 other bloggers. Yesterday (July 26, 2011) I turned 40! My natural hair color is red. I've lost 20 pounds this year on Weight Watchers! I'm addicted to playing Dine-N-Dash on my PSP. I own close to 50 Cricut Cartridges many of which have never been used yet. Shame on ME! Congratulations ladies for having inspiring and sweet blogs that are regularly updated! Jennipher, you have a wonderful blog and for what i can read you are a great woman, you deserve this!!! Thanks so much! Happy birthday! and Congratulations on your weight loss!!! That's wonderful. Wow, 7 siblings, I love learning new things about my blogging friends. Thanks again! Hi, Jennipher! 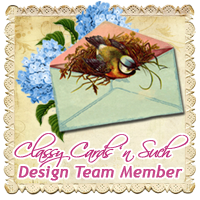 I love your blog and your CAS card is gorgeous! You have a lot going for you, gf! Happy Birthday and congrats on the wonderful weight loss! Kudos to you. 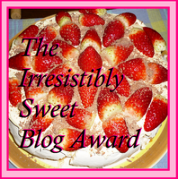 Thanks so much for the blog award Hun & congrats on your weight loss! That's awesome & who knew you had 7 other siblings....I bet growing up in your family was VERY interesting LOL! Happy Belated Birthday btw & I hope you had an awesome day Sweetums!!!!! Happy belated Birthday, Jennipher! Hope you enjoyed your day! I am the youngest as well, but only of 5. You must have had a busy house! Hope you had a wonderful day yesterday. Congrats on "Sweetest Award". You deserve it. Happy Birthday!!!!! and congrats on the award. Thank you so much for passing the award on to me, that is so sweet of you. I love coming to your blog and seeing your wonderful creations. 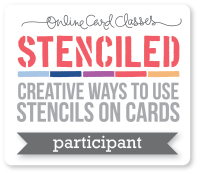 So much fun learning about you, I am sort of the same, well I am 53, but have many Cricut Cartridges that I don't know what they can do and lost 20lbs this last year on WW :) Way to go, that is awesome!! Thanks again. 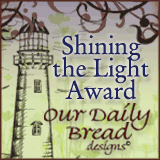 this is so sweet and nice, giving me the blog award! but your kindness and thinking about me in such a nice way is very lovely! Anyway...HAPPY belated BDAY! Wish you all the best in the coming year. Happy belated birthday and Congrats on your blog award!